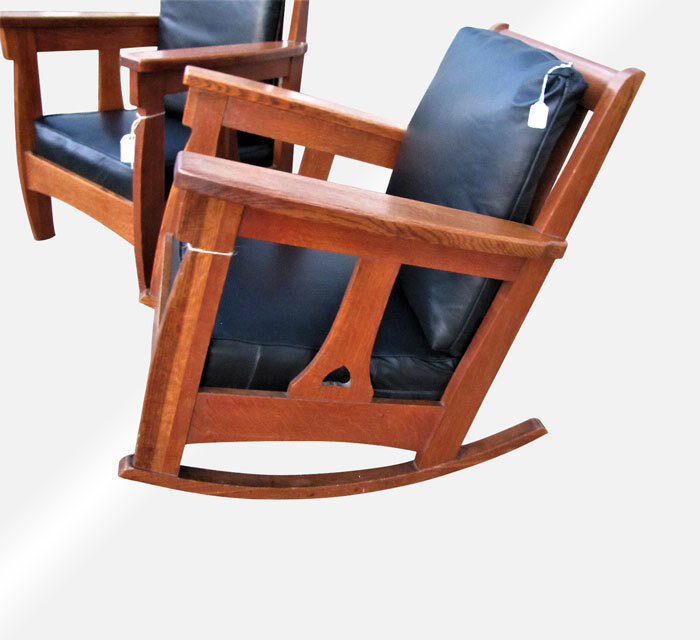 This is a Superb Antique Limbert Pair of Chairs from the early 1900’s. 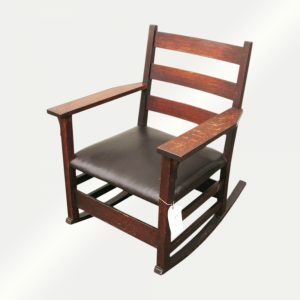 There is one great looking large armchair and one great looking large rocking chair. 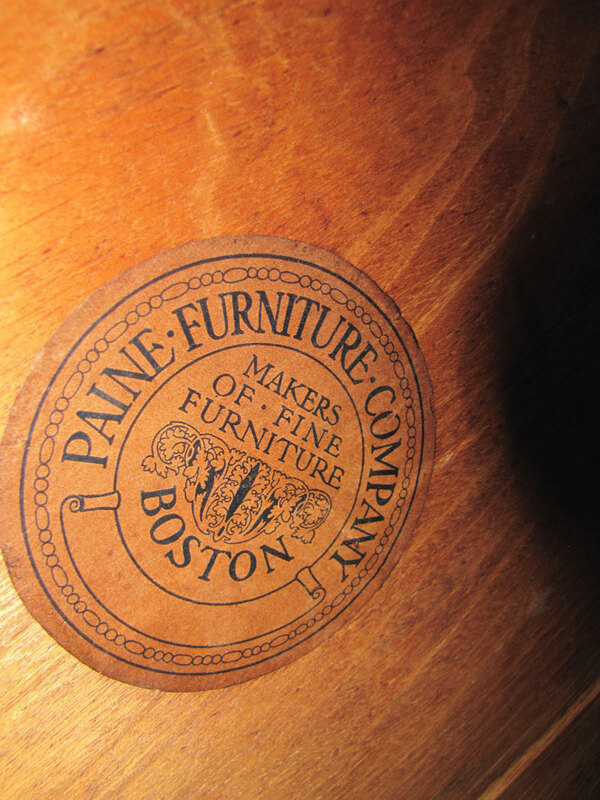 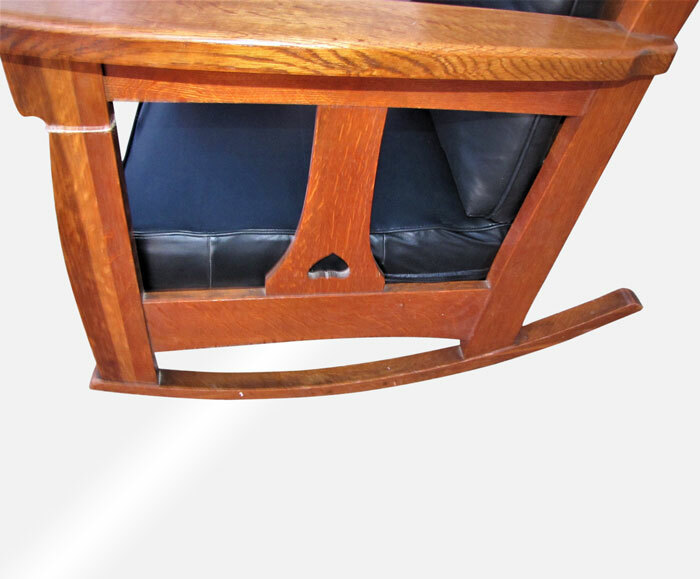 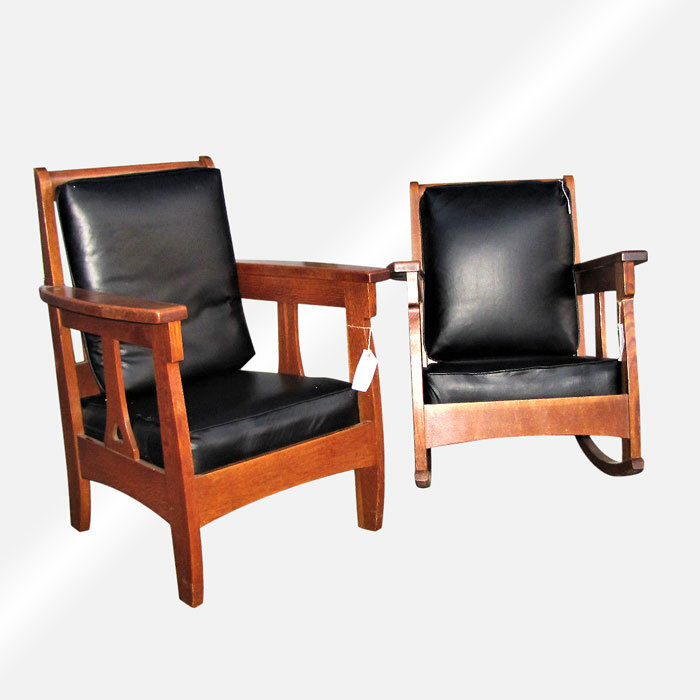 These chairs are a rare form of Limbert’s and they are in excellent condition with the original finish. 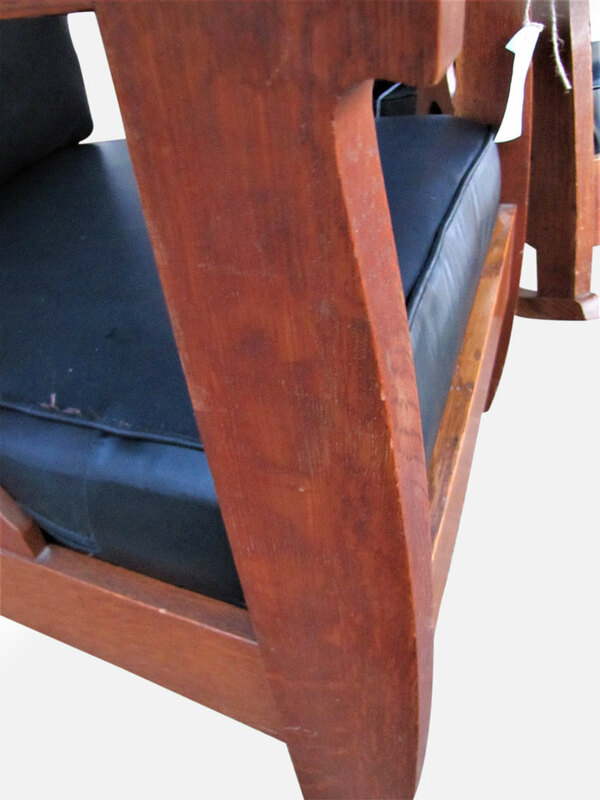 The seats on these chairs are one of the best seats that Limbert made. 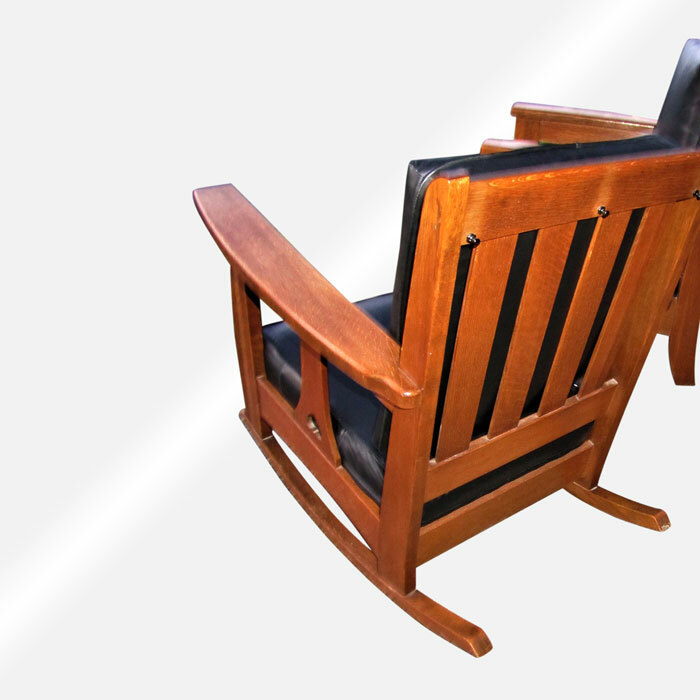 There were made with several layers of springs which makes them very comfortable and we have had them adjusted so they are ready to be used. 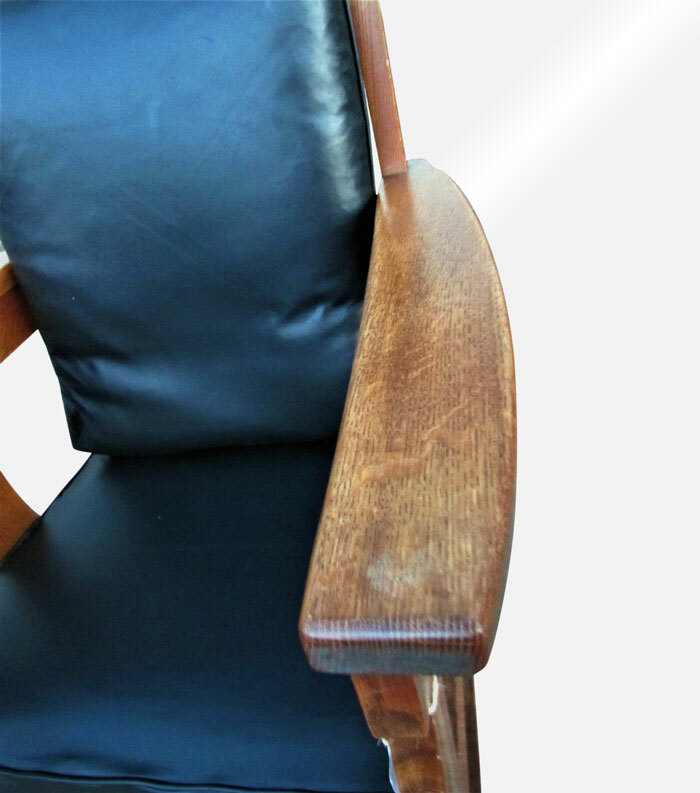 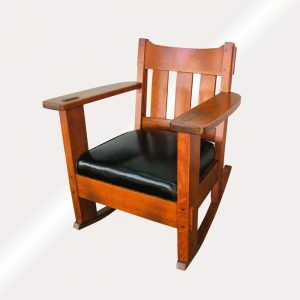 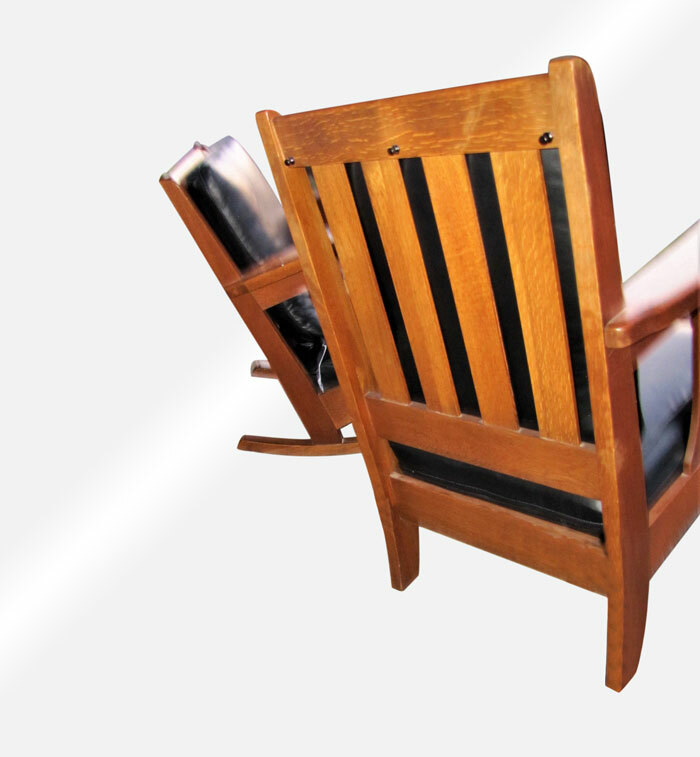 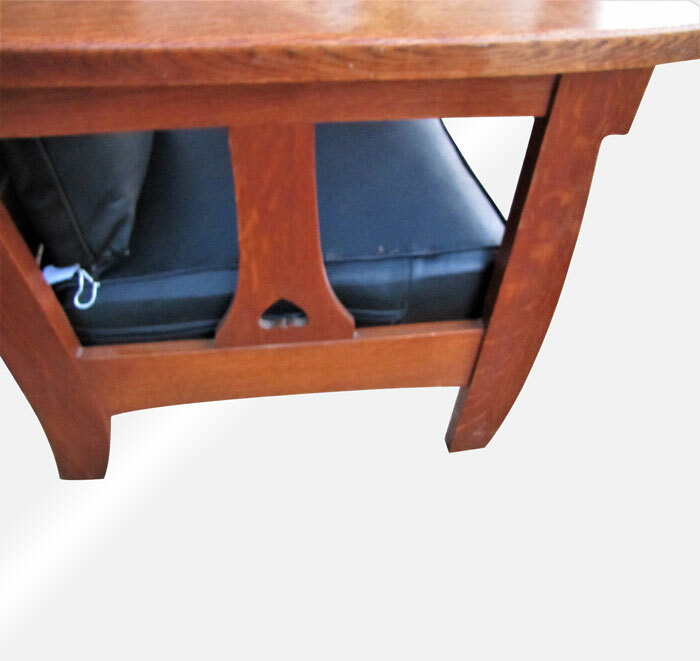 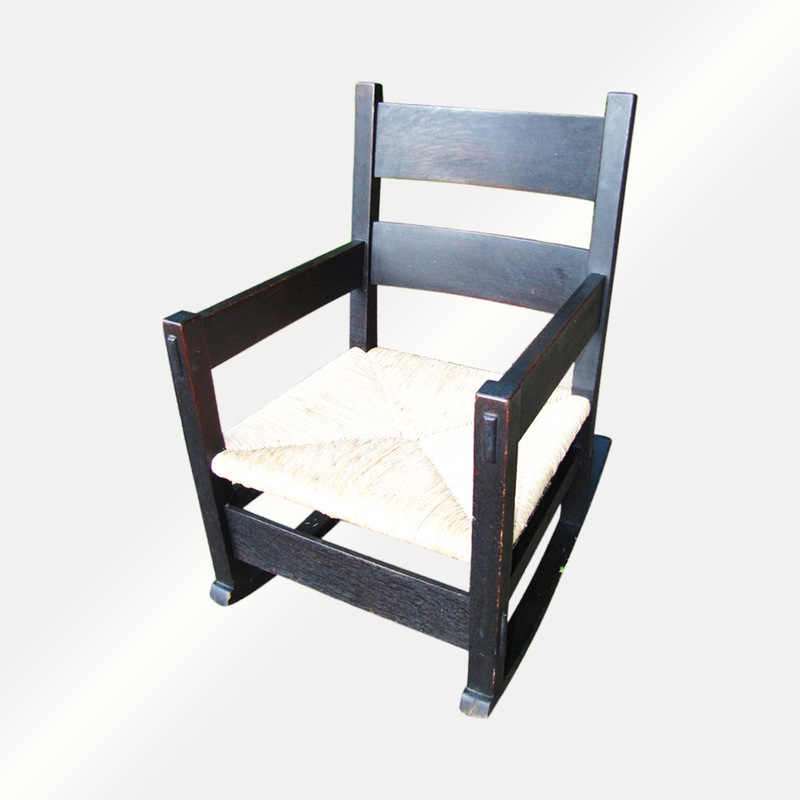 The seats of these chairs have been recovered with a top quality black hand-rubbed leather filled with cotton and hair. 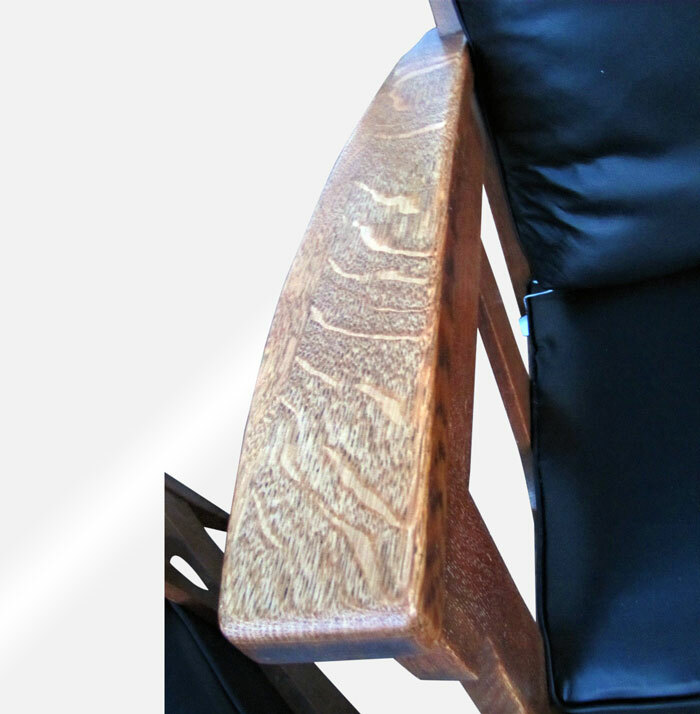 (Not Cheap Foam) The seat is on top of a cotton webbing and not cheap plywood like you see most dealers use. 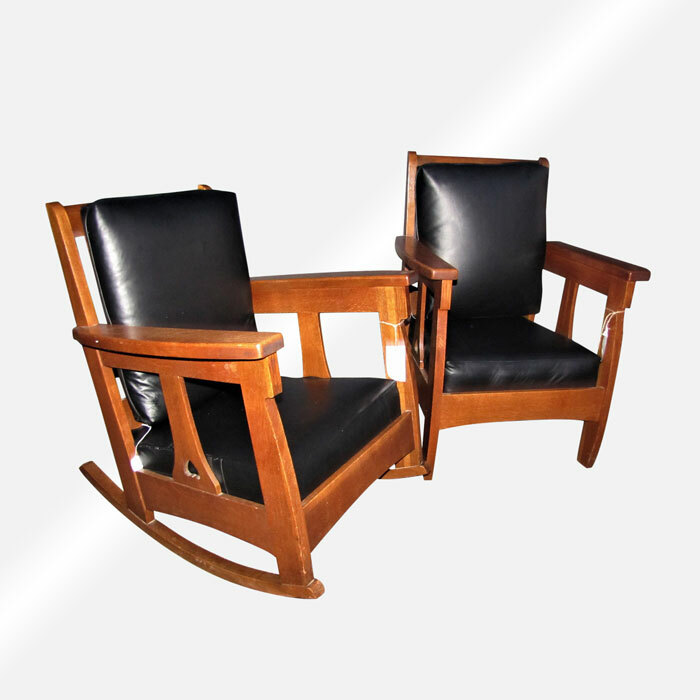 We also have the settee that goes with these two chairs and a few other chairs in this style. 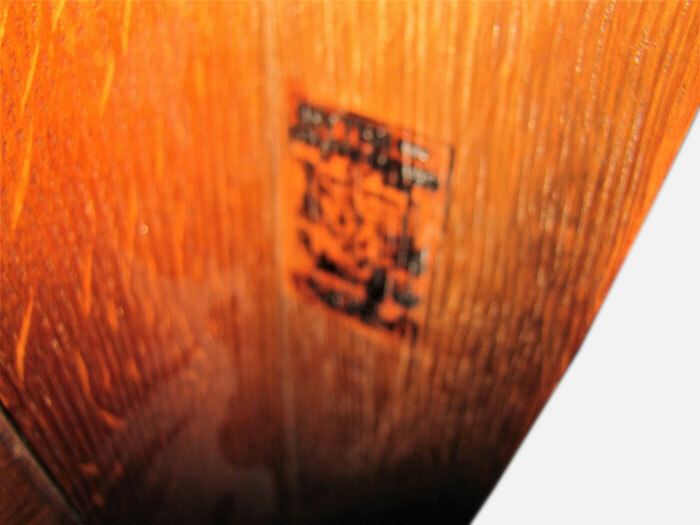 If you would like more information or pictures please contact us.